The U.S. Food and Drug Administration (FDA) is nearing a decision on how to oversee and regulate the creation of new clinical and biomarker tests that are developed by clinical laboratories. Known as Laboratory Developed Tests or LDTs, these tests have become the subject of increased scrutiny as the majority of current LDTs used in practice are not overseen by the FDA unless a clinical laboratory asks for their review before making them available to physicians for use with patients. Currently screening and diagnostic tests can be developed either by device manufacturers or by clinical laboratories. If a test (known as a "test kit") is developed by a device manufacturer, it must be approved by the FDA. Device manufacturers are therefore pushing for such regulation for laboratory developed tests in order to level the playing field, so that all tests would be required to undergo the same review process. "These tests have become increasingly more complex and are used to address high-risk conditions, which has led the FDA to say increased scrutiny is required," said Alina Brewer, Research Coordinator for The Preeclampsia Registry. "Oftentimes, such tests are developed as a result of a physician’s request for a new diagnostic to support patient needs. LDTs have been credited with establishing innovative new testing to address conditions like cancer and HIV/AIDS. Today they are used or being established for use in maternal health, such as preeclampsia screening and detection tests." Increasingly, LDTs have been integrated into clinical practice to support diagnosis and disease prediction. But the FDA, some patient organizations, and device manufacturers believe it is time to change the practice of LDTs. For many of these groups, there is a belief that such tests should be regulated like medical devices in order to ensure an oversight mechanism is in place to validate the tests’ safety, accuracy, reliability, and clinical validity. Some manufacturers argue that a competitive, level playing field is needed so they are not subjected to FDA review and process when competitor laboratories are not. Striking a balance between the appropriate regulatory oversight of these tests and ensuring that such oversight does not prohibit laboratory companies or investors from supporting investment in test innovation is the current challenge before policymakers. Laboratory developers are strongly pushing back on FDA proposals to regulate LDTs as medical devices, explaining that the tests are services, and not off-the-shelf products. setting up a way to identify tests by their level of risk to patient health, with the FDA assuming responsibility for only those tests considered at highest risk. 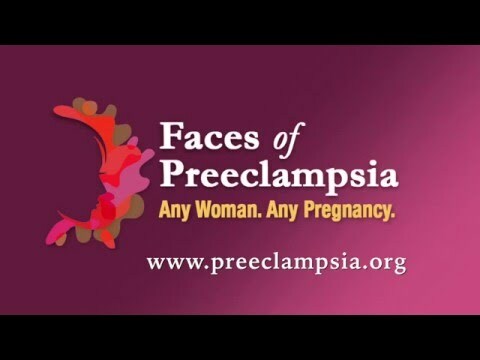 The Preeclampsia Foundation is not taking a position on this matter, but is excited by the possibility of new preeclampsia biomarkers under development, whether they are generated from a diagnostic test manufacturer or clinical laboratory. Such innovation could present new screening and treatment options for preeclampsia, but must likewise be clinically valid, safe, and effective. What Could the Genetics of Preeclampsia Mean for Me and My Children's Heart Health?